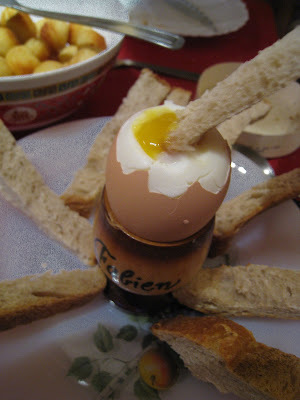 Bread dipped into half boiled egg. I love this but it was weird eating it during dinner. I would eat it as breakfast. But hell it is weird for the French that we eat noddles and rice for breakfast! 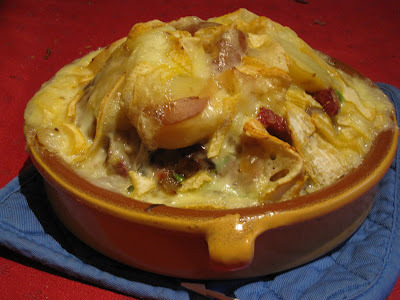 Tartiflette, lots of cheese and potatoes.